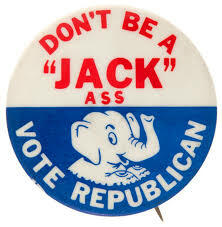 Richard Nixon knew campaigning. 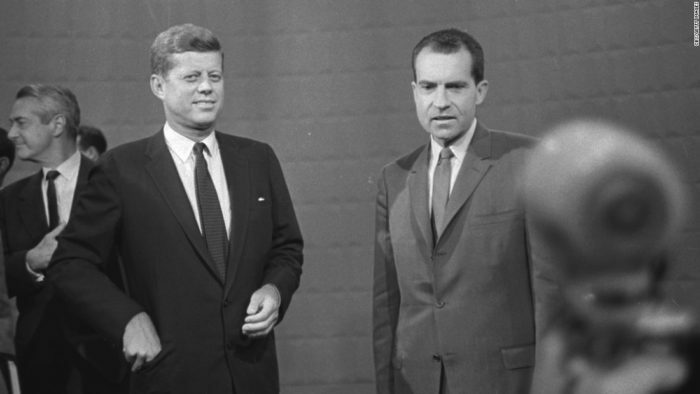 Running for president in 1963, even though he was just out of the hospital (his knee, slammed in a car door, had become infected), Nixon pushed himself to campaign almost up to the moment he would appear on TV for the first-ever televised presidential debate. Nixon refused to be made-up for the cameras. Rushing down a hall, he asked an aide how he looked. “Just fine,” the aide replied. The only problem was that the aide was not Nixon’s man. 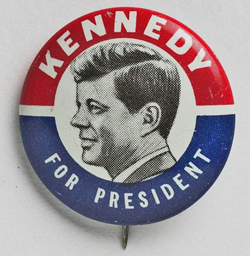 He was Kennedy’s. John Kennedy knew television. He arrived for the debate tanned, rested, prepared. You can watch it. Nixon walks on stage with Kennedy already seated. Nixon is not sure where to go. When he sits, he mops his face with a handkerchief. He doesn’t seem to realize he is on camera. His five o’clock shadow on black and white TV makes him look ill. Or worse, sinister. After the debate was over, his mother called him and asked him if he was sick. Nixon lost the election 49.7% to 49.6%. Many thought the TV debates did it. 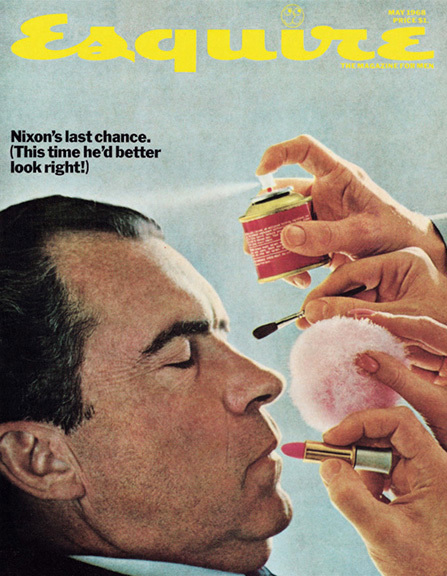 In the spring of 1968, when Nixon was running for president for a second time, George Lois did a cover for Esquire magazine that was a spoof on the 1960 make-up debacle. [see the COVER] This time, Nixon won. Esquire got a call from a Nixon staffer. Whoever it was — editor Harold Hayes did not get the name – the guy was furious about the cover. Especially about the lipstick. Hayes really wished he had gotten the name, because he was pretty sure the caller must have been one of Nixon’s many men who later did jail time. Great bit of history! Loved this.